Russia, the country that made car crashes caught on dash cams into a sport, is actually capable of issuing an auto safety recall. We don’t want to be completely unfair in our Russian coverage, but the words ‘safety’ and ‘Russia’ somehow don’t sound right together. Russia’s safety watchdog, Rosstandart, announced earlier this week that Nissan will recall some 127,738 vehicles in the country due to possible airbag safety device issues. All of the vehicles, built between February 19, 2001 and November 28, 2012, have never been sold in the US. This is contained solely to Russia. They include, the Nissan Almera, Teana, Pickup, Tino, Patrol, Terrano II and X-Trail. Now, here’s the thing: no other details were provided, as is the case normally with recalls, about the precise nature of the problem. Simply stating there’s a problem with airbag safety devices and absolutely nothing else wouldn’t fly in the US. Or Europe. Or, heck, possibly even in China. Owners are going to want to know the problem with a device that will probably save their lives, or at least their faces, when that accident happens, and happen it probably will based on our dash cam-provided window into the bonkers world of Russian roads and highways. But then again, Rosstandart is a Russian governmental department. Who needs answers and transparency? 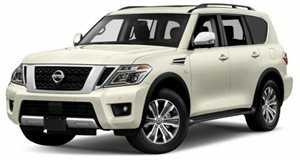 As for Nissan providing more specifics? Not a word. That right there could be part of the price to do business in Russia today. It's as big as the Titanic, costs as much as a third class ticket, and isn't afraid of icebergs.